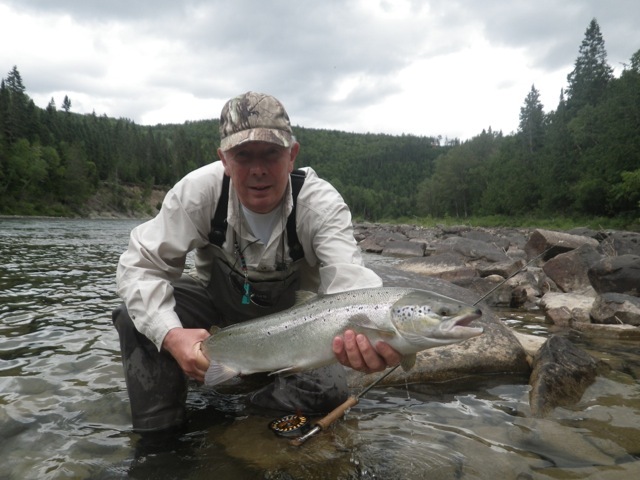 Claude Lombardo from New Caladonia with his first Atlantic Salmon, he' coming back next year for a week! 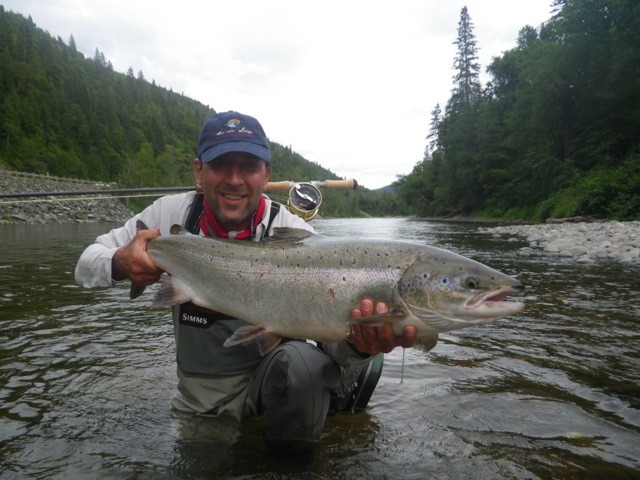 Roland Vrydaghs with a nice Bonaventure salmon and his first North American fish! Congratulations Roland! 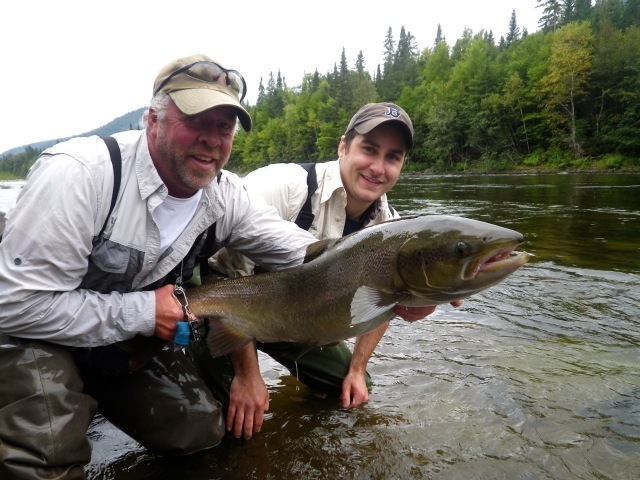 Claude Lambardo plays a huge Grand Cascapedia Salmon!!! 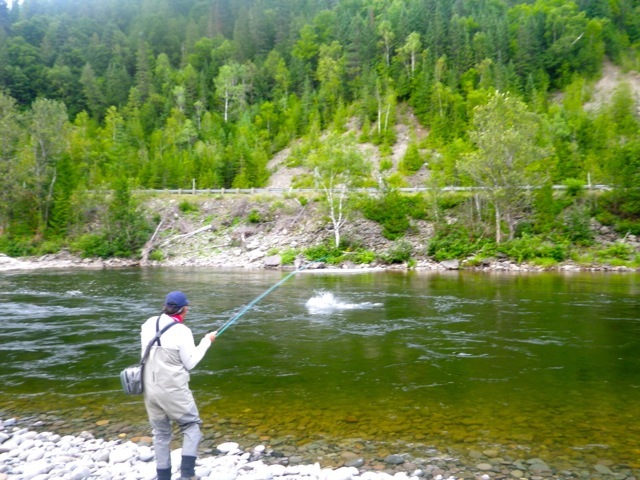 Peter Udle and Salmon Lodge guide Charles Binnett with a nice grilse.